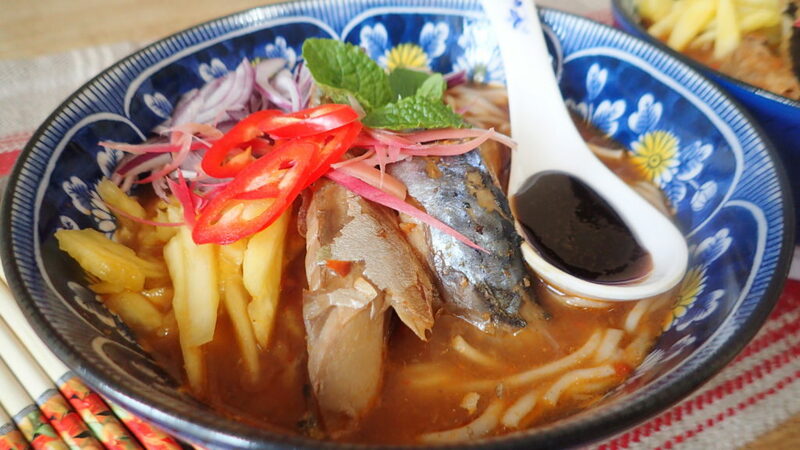 Asam Laksa can happen in Hertfordshire, England. My stash included torch ginger (bunga kantan), polygonum odoratum (daun kesum) and calamansi lime (limau kesturi) but nowadays they are able to be gotten here but still not easy. 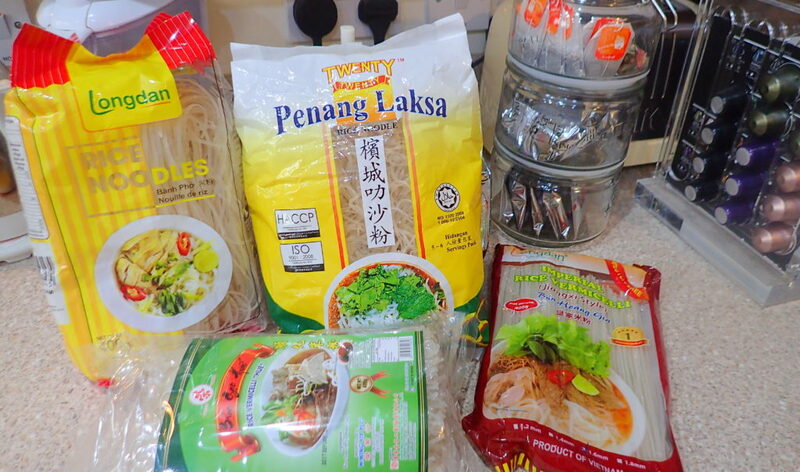 Today I have decided to use some of my stash from Malaysia to cook Asam Laksa as I am going to replenish my stash soon. For my paste I like to add a small bit of turmeric and galangal (blue ginger) Both these ingredients are easy to find here in Chinatown. 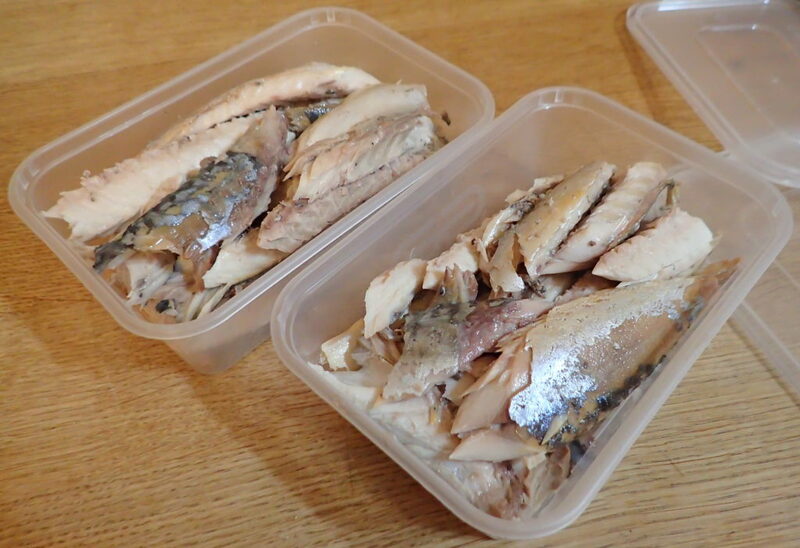 TIP 1 – To get a clear fish broth sieve it once with a normal sieve then sieve it a second time by placing a sheet of kitchen roll on your sieve as an extra lining for a much clearer fish broth. 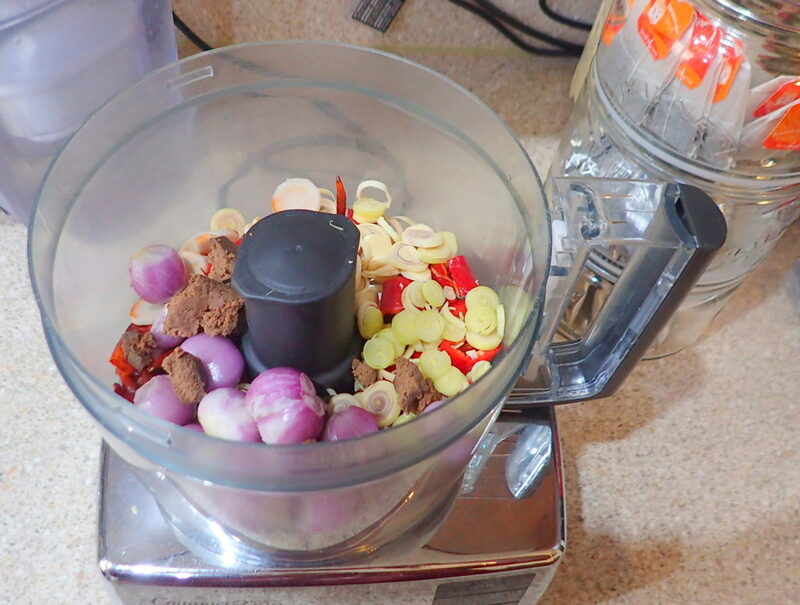 TIP 2 – Blend your spices till fine. 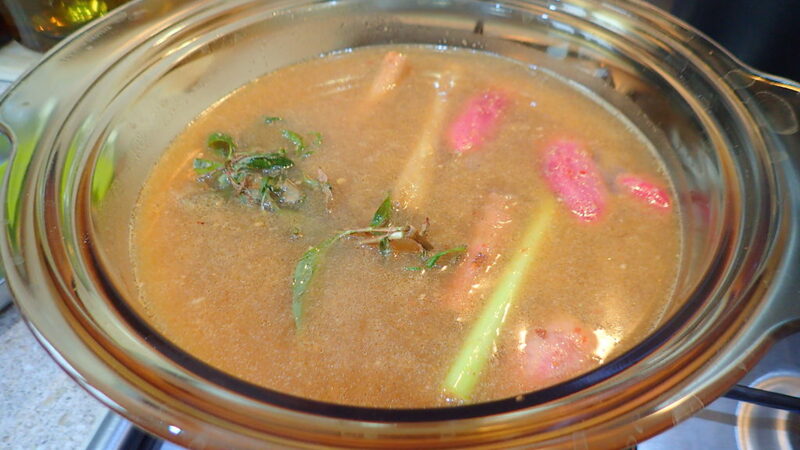 I like to blend some of my lemon grass and torch ginger besides adding some to boil with the broth. 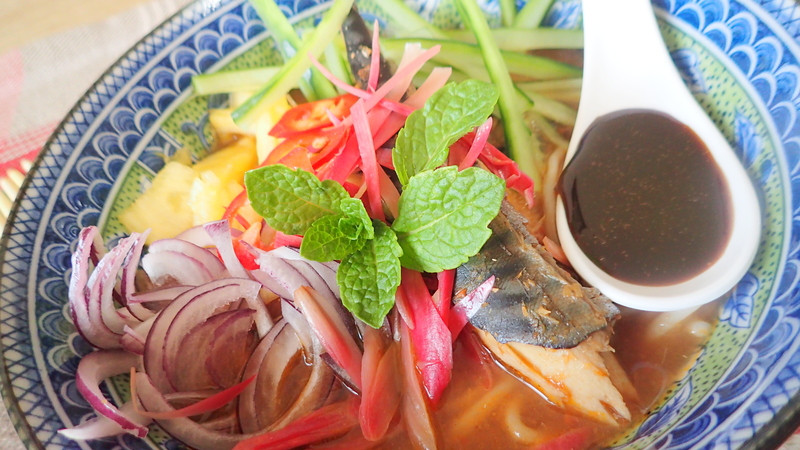 TIP 3 – Remove the big bits from your broth before adding in your fish meat. 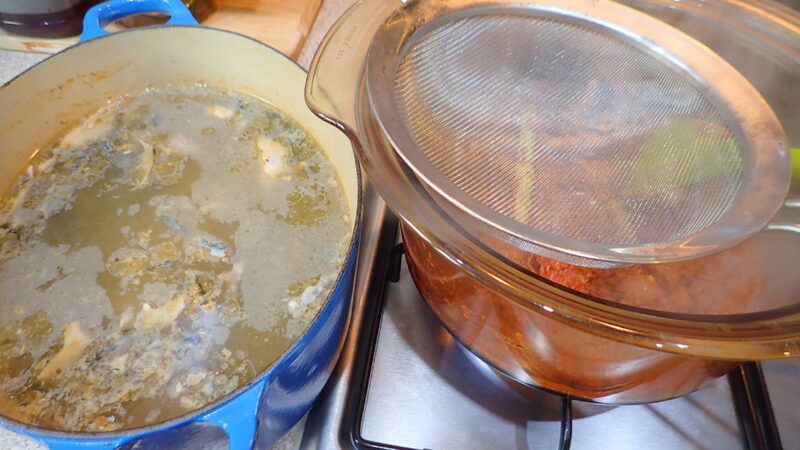 First boil the fish to make the broth but only for about 10 minutes. do not over boil. 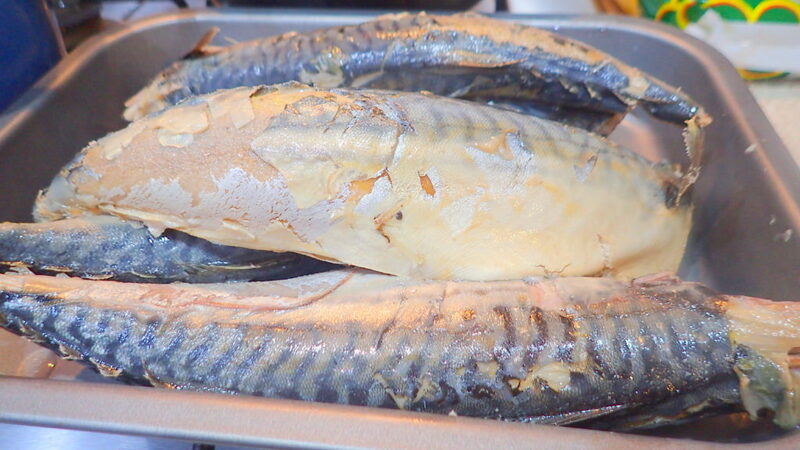 Remove the fishes and let cool. 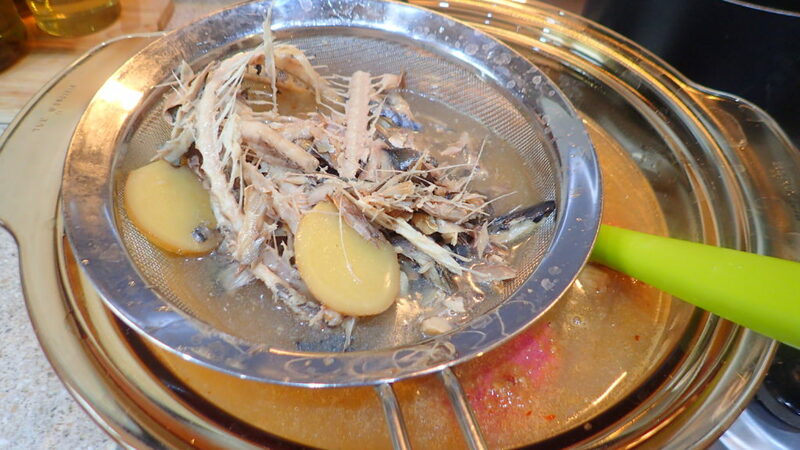 Pick out all the meat and place the bones back to boil for about 20 minutes to make a flavoursome broth. 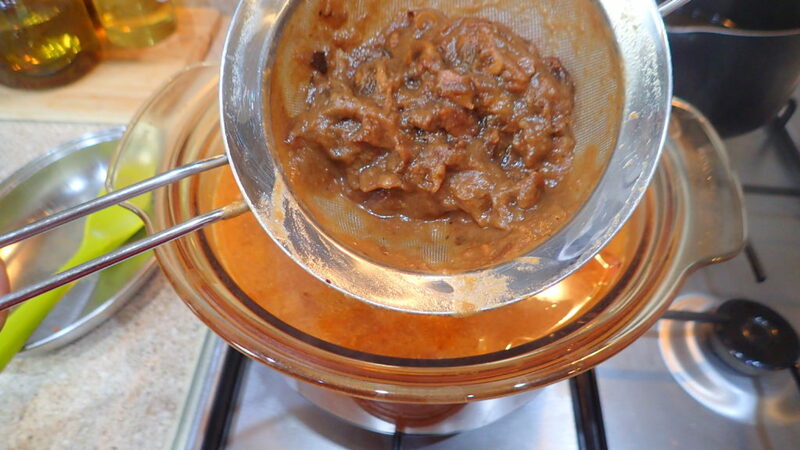 Fry your paste with a touch of oil till fragrant. 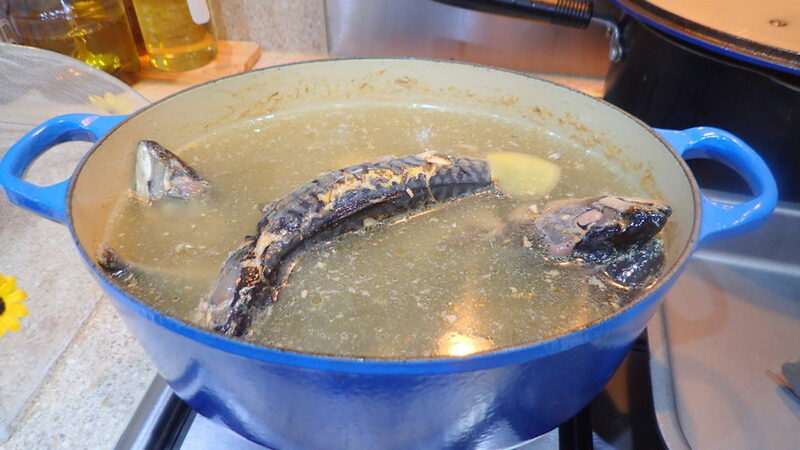 The add your fish broth in. 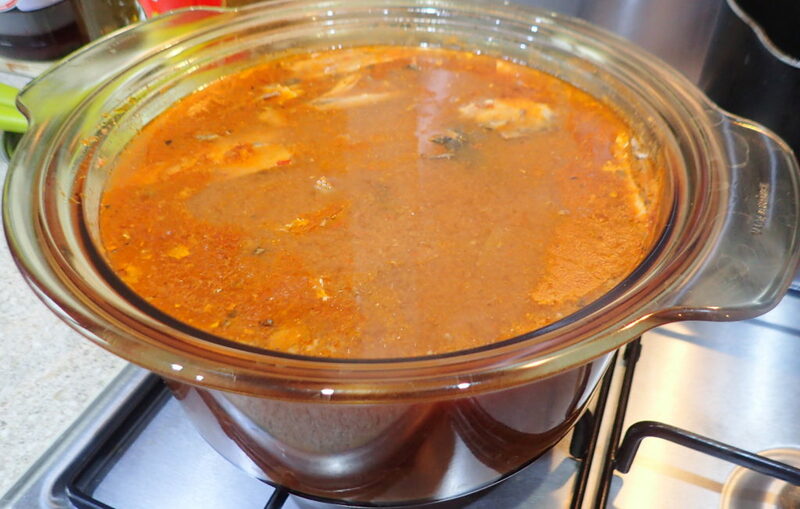 Continue to simmer for at least 30 minutes on low heat before adding in the fish meat and the special addition of a tin of sardine! 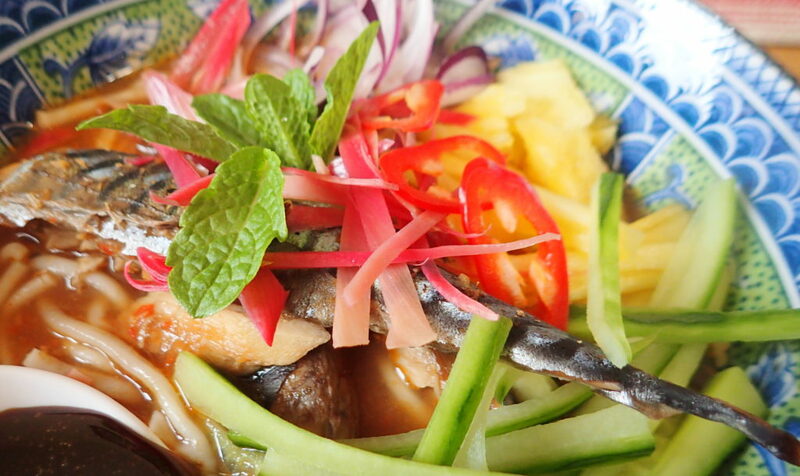 Taste and season. 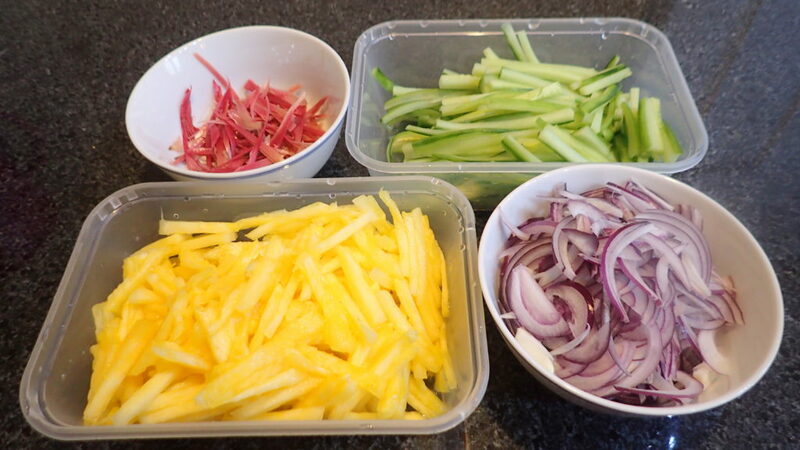 While your stock is simmering on low heat, slice your pineapple, cucumber, red onions and soak your noodles. 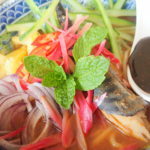 Serve by placing your noodles, broth and the garnishes on top. 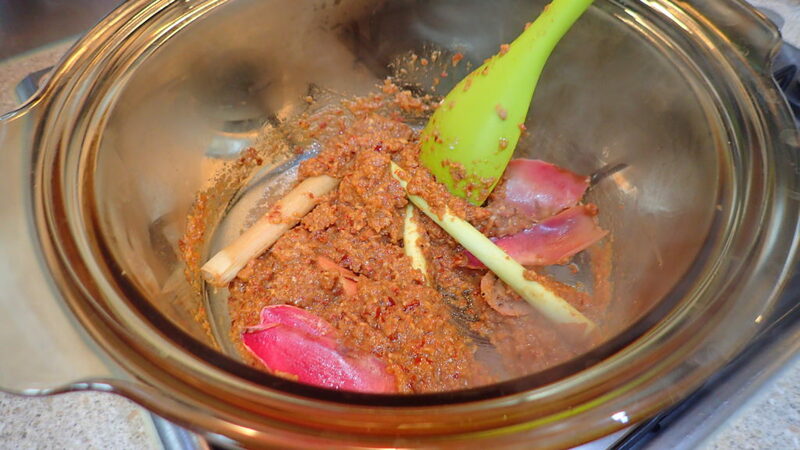 Lastly add in the heh ko/prawn paste. 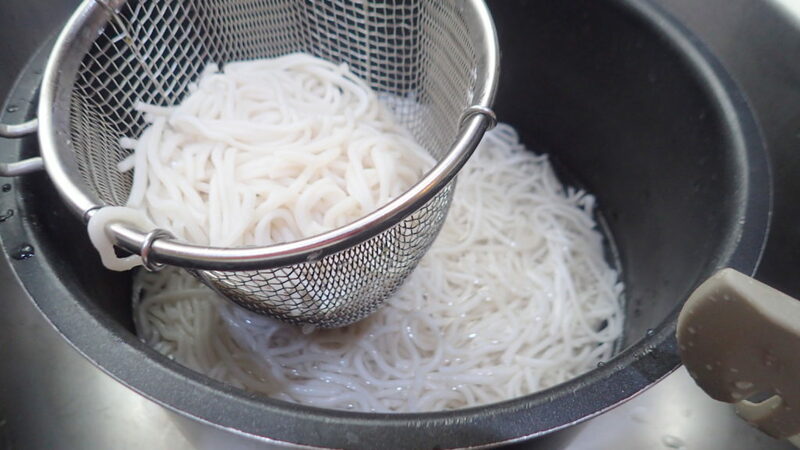 Asam laksa is not the same without this. 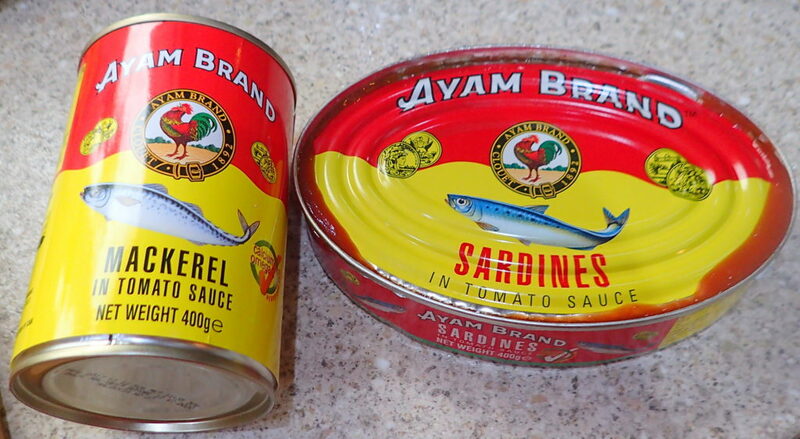 The secret ingredient – either tin is fine but Ayam brand is my favourite. I decided to buy a few packet to try as we can’t get fresh here. The green packet is the best.